Despite all of our advances in technology, dating hasn’t changed hardly at all in the 21st century. You meet people, talk to them, and maybe start dating if enough sparks fly. There are some dating apps out there that can help this process along. However, based on our research, dating apps, in general, need a major improvement. Most of these experiences were frustrating, but a few stood out as being usable. So here we are with one that is one of our favorite ones. We are talking about, MatchOcean. 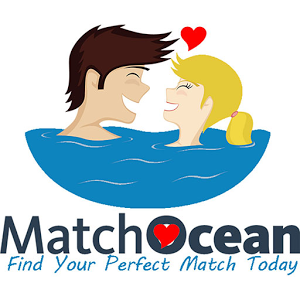 MatchOcean is one of those dating apps that try to shake things up. It follows the conventional means of picking people out and connecting them when a match is made. It offers the ability to set updates, join mixers, finding events, and a lot more. Unlike most, this one boasts a free chat. However, the thing that makes it best out of the rest is it features like, audio chat, video chat, photo rating, send gifts, send wink, profile customization, encounters and much more… Another amazing feature is a virtual 3D city where you can have a lot of fun with your friends. Whether you are looking for a marriage, relationship, date, or just making new friends, meeting like-minded people, making new friends, dating, or just hanging out and chatting online has never been that easier. Immediately upon registration, you will have access to extensive search and filter functions that help you meet singles in your area who match your criteria. Chat with them, exchange photos and arrange a date. To start your mingling life just follow the direct download link at the end of this review article and get this app for your Android. It is available for free.